Did Shinji Mikami Bring Survival Horror Back? The hallmark of the Resident Evil Series is survival horror. But when the latest installments in the series placed more emphasis on action rather than horror, many wondered if the series (and genre, for that matter) had succumbed to its fate, and couldn’t survive in the modern AAA industry. 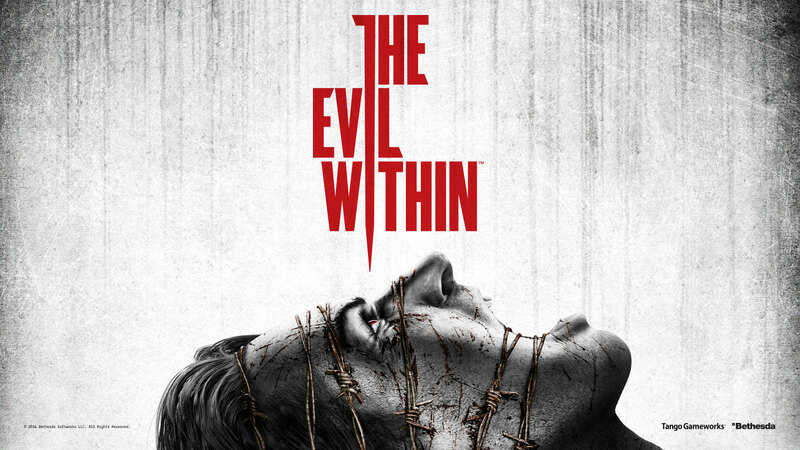 Since there is a void in the AAA space Shinji Mikami, former game director and producer of the Resident Evil Series & Dino Crisis, decided to get back to his roots in his latest game The Evil Within. The indie scene has been quietly keeping this genre alive, but this will be the first AAA survival horror title to be released in recent time. Did The Evil Within live up to its survival horror benchmark? You play as Detective Sebastian Castellanos, who is charged with investigating a mass murder at Beacon Mental Hospital. On examining the scene of the crime, Detective Castellanos is suddenly knocked out. Upon awaking, he realizes that he is hanging upside down about to be butchered by a giant mutation of a man. Detective Castellanos narrowly escapes by creeping around corners so not to raise the attention of this butcher of men. Castellanos goes in search of the source of this chaos, meeting Marcelo Jimenez, a doctor at Beacon. Jimenez asks you to assist him in finding a patient named Leslie that is a part of a program called S.T.E.M, the root of the mass murders and several missing persons cases. The Evil Within is plagued with artificial difficulty, often resorting to cheap instant kills in a few chapters of the story that, while frustrating for first time players, become minor nuisances on subsequent playthroughs (It’s still better than quick time events). The game can feel incoherent at times as far as the story is concerned. Maybe it was trying to make the player-character feel like Detective Sebastian Castellanos in not having a full grasp of what going on, but it doesn’t really accomplish this. Rather, it leaves you less immersed in the story. Without giving any spoilers, the game explains most of the chaos that ensued by the end of the game (Season pass available) — that is, if you play it that far and read the codex. If you are more of a gameplay person then it isn’t even an issue. I personally would have liked to see a different mode after completion, but new game plus does provide some new weapons and a higher difficulty. Despite it’s faults, the game does many things well. The Evil Within gives players the tools to survive without ever making you feel overpowered. The combat is satisfying, with a variety of weapons and methods to get through most areas. It very much imitates The Last of Us when it comes to approaching enemies: players can throw objects to distract their foes and lure them into stealth kills, or even sneak past altogether. The game is unforgiving, but in a good classic survival-horror way—especially on the higher difficulties. Item management is a must, forcing players to make smart decisions when choosing to engage enemies. Do I gamble using my ammo in order to survive this encounter, or try and save it for later? These kinds of choices are really what reinforce the survival aspect of the game. The game isn’t too long and can be beaten in under five hours if you know what you’re doing, but like Dark Soul’s the difficulty will make the game a lot longer. Most first playthroughs will probably range from the twelve to twenty-five hour mark, depending on if players decide to trophy/collectible-hunt or not. The boss fights are challenging and entertaining with several ways to attack, and in some cases run pass altogether. Enemy design is nuanced enough where you don’t feel as if were fighting the same enemies throughout the game. What I enjoy the most about the gameplay is the weapons, in particular the agony crossbow. It is easily becoming one of my favorite video game weapons of all time. Having a strong background in the Resident Evil series,the shotgun is still king, and very satisfying to use, but if you want to survive on higher difficulties, then you better learn how to use the agony crossbow. You can craft many different types of ammo for it, allowing a large range of combat styles. This crafting aspect is both a blessing and a curse. While you do have so many attack options afforded to you, resources on higher difficulties are limited, and the way you obtain them is risky (since you have to disarm bombs and traps). The replay value is high. just like RE style the player-character receives extra weapons after completing a particular task, the combat is great, and for me was definitely worth the price tag. The original Resident Evil remake for Nintendo GameCube did very poorly in sales, forcing Capcom to go the action-oriented route for Resident Evil 4. In an interview with IGN, Shinji Mikami expressed that, “Most game developers make their games action-oriented because they want their games to be more enjoyable and not solely for the purpose of looking for a wider audience.” Recently Capcom re-released Resident Evil HD and it became the fastest selling digital title in history. With The Evil Within selling 3.13 millions copies worldwide, people clearly still show an adoration for this genre, and a large enough market still exists.. It may not be as groundbreaking as the classic survival horror games of the past, but what The Evil Within does is provide evidence that an AAA survival horror can sell well. It shows that this genre can be modern without being a “bro shooter” or boring. With Games like Silent Hill, Kodoku, Soma, Friday the 13th, and Until Dawn in development only time will tell if this genre really made a comeback, but The Evil Within is a positive step for this genre’s survival. Previous Post Is The Order 1886 worth buying?